There’s always a sinking feeling in my stomach whenever leaving Vermont. It’s usually because I always have a great time visiting and I don’t want to go home. I’ll have a car full of great locally brewed beers and a mind that is still not looking forward to getting back to the reality of the work week. To help ease the pain on the way home, I try to find a place worthy of stopping and spending a couple hours. This is why I was so glad to find The Worthy Burger. I heard about The Worthy Burger while visiting Blind Tiger in New York City. One of the bartenders and I were chatting about Vermont and how it’s the perfect beer getaway. She then mentioned the relation between Blind Tiger and The Worthy Burger and how Dave Brodrick is the founder of both bars. I guess that it makes sense considering that Blind Tiger will occasionally have Vermont farm to table events and will get Hill Farmstead beers fairly consistently. 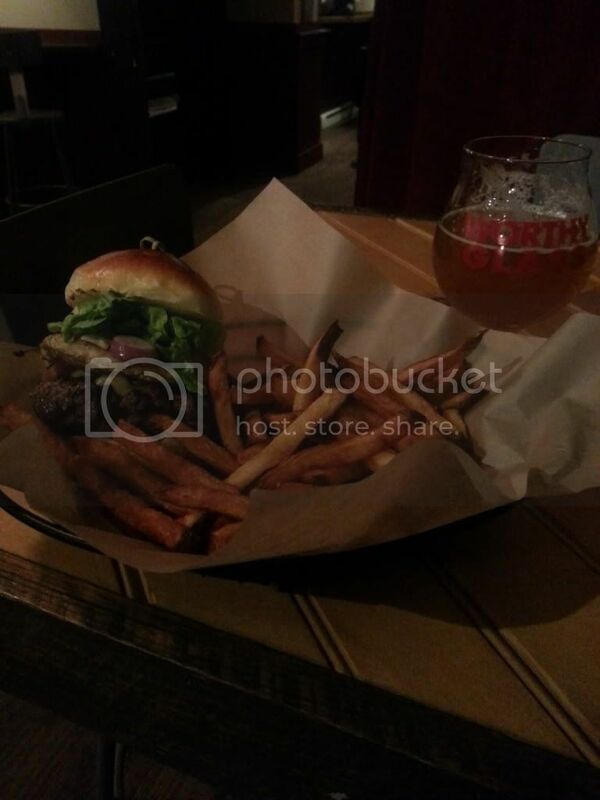 My curiosity grew on me so I knew I had to stop at Worthy Burger the next time I was up in that area. 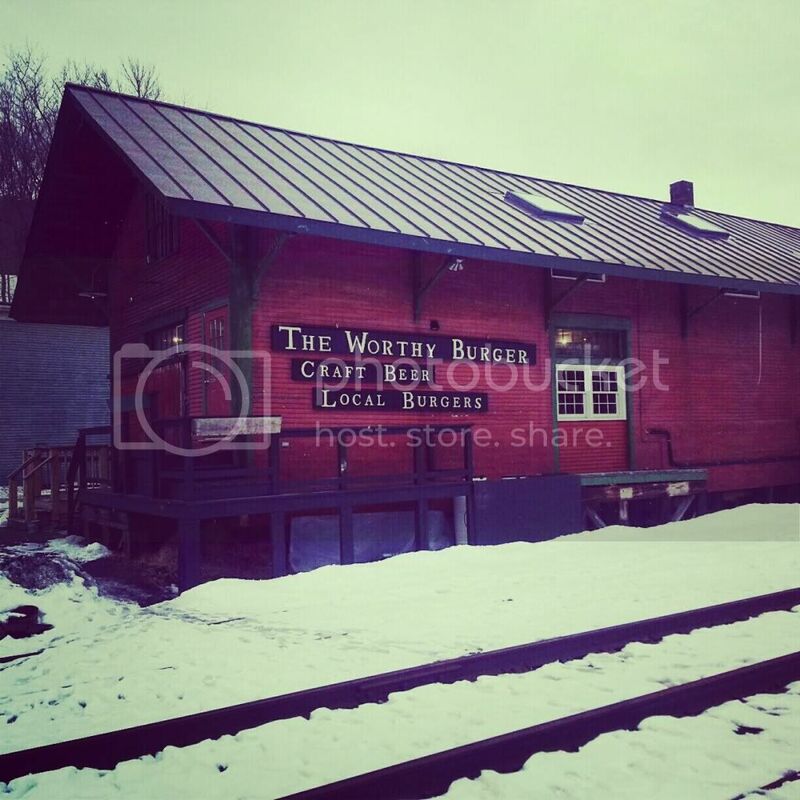 The Worthy Burger is located in the small town of South Royalton Vermont, about an hour south of Waterbury. It’s also a short distance off of Route 89, so it’s an easy stop and only takes about 15 minutes off my trek back to New Jersey. The drive from Route 89 is very easy, but has a couple windy roads and after 10-15 minutes, will leave you in South Royalton. When arriving, you wouldn’t imagine that there was much to the town, as it’s very small and appears to be very quiet. If you drive over to the railroad station, you’ll find The Worthy Burger located immediately next to the tracks. You can smell the awesome burgers after stepping out of your vehicle and you know you’re in the right place. The entrance is on the side of the building away from the train tracks. There is a heavy curtain surrounding the inside of the door to keep the cold air out. The bar is right as you walk in and has roughly 20 stools surrounding the cement bar top. To the right along the wall are a few high top tables l with a condiments station at the end of it. The left has a few tables set up with a large flat screen television. Although everything is an open concept and in one full room, the side with the televisions feels a bit separated. What really gets my attention upon walking in isn’t the set up – it’s the tap list that’s on the chalkboard behind the bar. The Worthy Burger has a 10-15 tap set up which is very heavy in Hill Farmstead beers. I’m pretty sure that this is the largest selection of Hill Farmstead beers available so far south from the brewery itself. Although the list isn’t large, it’s very well selected and has something for everyone. On a wall to the right of the bar is the food menu. The food at The Worthy Burger is – you guessed it – pretty burger heavy. There’s a variety of choices between chicken, beef, tuna for a burger patty that can be topped with a variety of different Vermont cheeses and other toppings. My choice while there is usually the beef burger with bacon, sautéed onions, fried egg and Vermont cheddar. I’ll usually get this with some hand cut fries and top it off with some of the various condiments offered (spicy mayo, mustard, spicy ketchup etc.). I can’t speak of any of the other food there since I’m pretty stuck on this combo. I mean, why mess with a sure thing? This is – and will continue to be – my therapy in dealing with the six hour drive home when visiting Vermont. It’s well worth the 15 minute drive out of the way and is a classic example of how well beer and burgers go together. It’s a simple combination bringing an awesome experience. 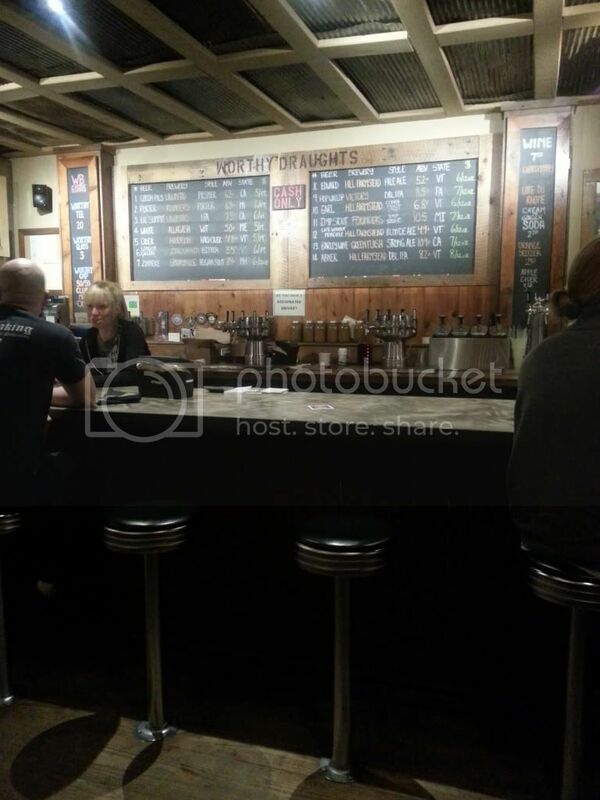 This entry was posted in Destination Beer, Nothern Vermont, Vermont, Where I'm Drinking and tagged Beer, Brewing, burgers, Craft Beer, Hill Farmstead, Hill Farmstead Brewery, Home Brewing, Hops, Vermont. Bookmark the permalink.